Looking for a dive buddy for either tomorrow evening (Friday) or anytime this Sunday. Pretty open to where, on Sunday, Friday probably someplace like Les Davis. 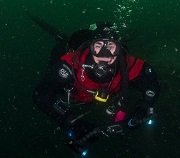 I just got a new drysuit and a few other things and just want to make sure my gear is situated and go for a little bit on an easy dive.